Green Head Turf has the best lawn care program for your Olathe area home. Many people don’t realize that a lawn is a living, breathing organism and, as such, requires constant attention and nutrition. That is where our six step program comes in. The six step program is designed to manage problems before they begin, and in our climate, it’s important to be proactive with your lawn care. A carefully designed regimen of treatments applied at regular intervals from early spring to winter supplies the appropriate amounts of nitrogen, phosphorus, potassium and iron to create an emerald-green carpet of thick and luxurious turf. Local horticultural experts helped design the following program to optimize results. Applied in the very early spring. The goal is to provide a well-balanced fertilizer to help bring the turf out of dormancy in a controlled fashion while promoting healthy root growth. It includes a broad spectrum pre-emergent to prevent weeds. Applied six weeks after the first round, usually in mid April through May. This product is designed to focus on the development of a thicker turf grass while promoting root growth. We also spot treat for any weeds that have broken the pre-emergence barrier such as foxtail or crabgrass. Applied from mid June through July. Temperatures are beginning to climb and this can be the beginning of a very stressful period for your lawn. This application has a low nitrogen rate to reduce the possibility of such diseases as dollar spot and brown patch. Once again we will also spot treat for broad leaf weeds as needed. Applied from mid June through July. Perhaps the most important weapon in the offensive arsenal, this round will attack and kill any grubs or other harmful insects living in the soil. Equally important, it will also lay down a protective layer to prevent future infestation that season. Applied from late August through September. The trees are about to start turning colors and your lawn is hungry. 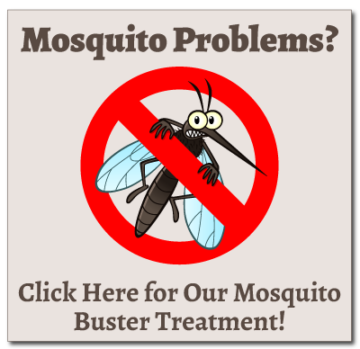 At this time of the year it is very important to provide a slow-release nitrogen fertilizer to help your lawn recover from any stress that it might have endured during the long, hot, and humid Olathe summer months. This application also maintains the root growth that has been established during prior treatments. We also provide just a little shot of iron to help green up the lawn. Applied October through November. With winter upon us, this application is all nitrogen in a slow-release formula to help your lawn through the freezing and thawing cycles ahead. When it comes to lawn care, Olathe area residents can count on the experienced professionals at Green Head Turf Systems LLC. We know you will enjoy the benefits of being a part of the Green Head family. 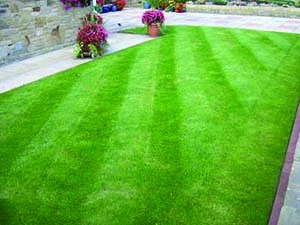 You can take pride in your lawn without worry. If for any reason you are not satisfied with the results give us a call and we’ll make you happy. We guarantee it or your money back.